If you really want to sell your house, scheduling an open house where a group of people can all come at the same time to see it, is definitely one way to go. If you’re getting ready to hold an open house, consider using the tips below. 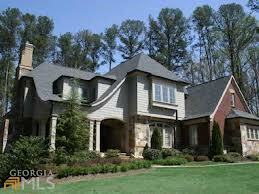 Open houses are the perfect opportunity to expand your pool of potential buyers. But if you’re not careful, you may come across as too pushy, and that can be a quick turnoff that sends buyers running for the door. 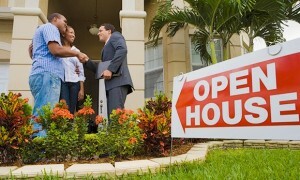 Try the following tips to make your open house an immediate success. This is valuable time; be sure to take advantage of it. Meeting with a buyer in person can make a much, much stronger impression rather than a phone call. Instead of telling visitors you’ll give them a call afterwards to follow up, you should use the valuable in-person time at the open house to say what you need to say. You’re much more likely to make a stronger impression face-to-face than during a phone call at a later time. Try asking these questions, which will also allow you to gauge their interest now, rather than wonder about it later. •Are you interested in the property? •What other properties interest you? What are you looking for in a new house? •Would you be willing to set up an appointment to talk further with me, or are you interested in viewing additional properties that may be a better fit? Ask for their name, phone number, and e-mail address. If they won’t give you this contact information, you should still let them view the property. You’ll find most visitors are willing to give you this information, than not. Be sure to explain that there is additional information about the listing on the dining room or kitchen table that may be of interest to them. Have brochures out in an easily accessible place. Stage them in the dining room or on the kitchen table. These are two rooms that they will definitely go in, and they are great spots to capture visitors eyes and be sure to take one home. Place a variety of items here, such as property details, school information, and community brochures. Don’t forget to attach a bold label with your contact information on each type of information you provide. See: A Buyer’s Guide to Open House Etiquette. Be sure to talk to every person that shows up. After you’ve allowed visitors to wander through the house on their own, you’ll want to catch up to them and see if they have any questions and gauge what they like or dislike. Approach carefully; you don’t want to be a pest. This can be your prime chance to land them as a client. Make sure your home is ready for guests. You’ll want the house looking its best outside and in. Instruct your sellers to trim shrubs, de-clutter rooms, professional clean the carpets, add a fresh coat of paint, check the home’s smell. Send invitations to the neighborhood and to anyone in your sphere of influence who lives in the area. Arrive early on open house day, turn on all the lights, open the curtains, and have soft, relaxing music playing in the background. Read: Six Questions Brokers Will Ask You at an Open House – Realtor.com. Select the date of the open house carefully. You’ll want to choose a time when most people are available. This means Friday not is not the time, for example. Also avoid holding an open house just because your seller wants it. 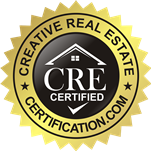 Typically, open houses that get the most traffic are newer listings that are reasonably priced, and easy to access from main roads. When you invest the time and energy into holding an open house, you want it to be successful, and not a complete waste of time. Many people think that open houses are a waste these days, but they aren’t. If you run it successfully, you may get some major interest in your home. I bought my home about four months ago, and I can tell you that it definitely made a difference that the buyer came to welcome me. I noticed the kitchen cabinets were flawed, and outdated, and that was all it took for me to leave, as I didn’t want to spend the time and money fixing those things. While I was leaving, the seller came to greet me and was extremely friendly. She actually brought up the kitchen first-and told me that they had someone coming in the following week to work on the cabinets, and update them. I came back about a week and a half later, and loved the kitchen. It made such a difference. That was my only hesitation about the house, and had the seller not told me that I wouldn’t have bought the house. You should always make visitors feel welcome. Never be rude to someone based on what purse they are carrying, or something callous like that. You never know what someone does for a living. And not everyone dresses to impress others.